Food allergies can really be hard around the holidays. 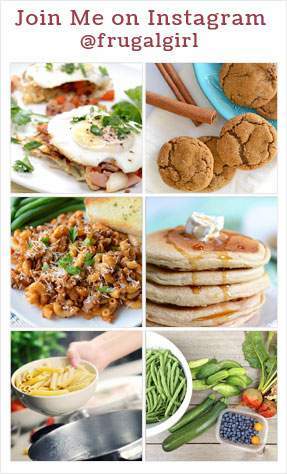 There are so many things you can’t eat. 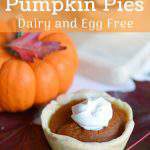 But when you make these easy mini pumpkin pies, everyone can enjoy them. Because they are dairy and egg free. 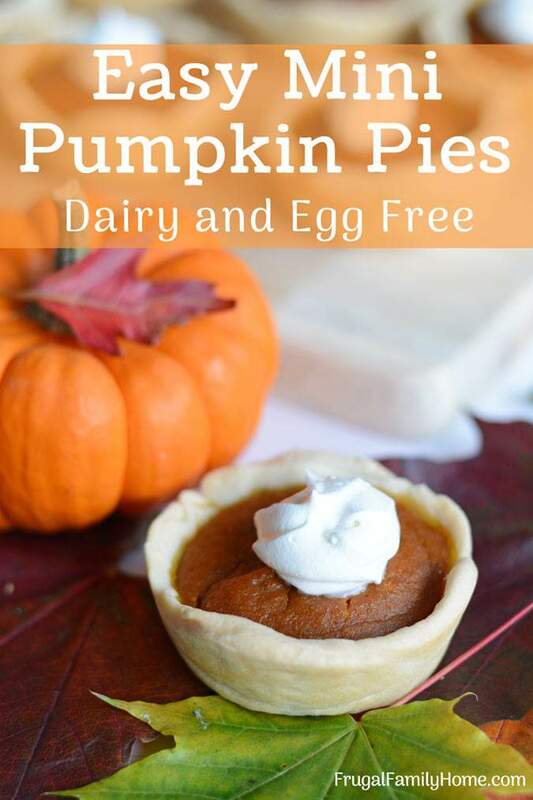 Can you believe you can make pumpkin pie without eggs? You can scroll on down to see the video and grab the printable recipe too. My kids and hubby have to eat dairy free. It’s awful if they get eat dairy so over the last 20+ years I’ve been working on how to make our favorite foods safe for them. Because I want them to enjoy all the yummy foods I ate as a kid. I think that is every mom’s wish for their kids to be able to enjoy things they did when they were young. But when you are dealing with allergies it can be a challenge. Even if you don’t need to eat dairy or egg free this recipe is so easy and delicious, you won’t miss, what is missing. If you are wondering what type of dairy-free milk to use, I use soy milk. If your family can’t have soy, I’d try almond or coconut milk. I try to avoid rice milk because I’ve had puddings not set up when using it. I’ve made a quick video to show all the steps in making these easy pumpkin pies. 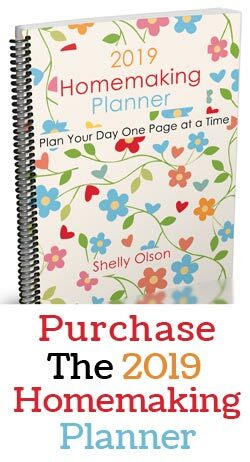 If watching videos aren’t your thing, keep on scrolling for a few written tips and the printable recipe. I make our pie crust from scratch. If making pie dough is something you need to learn, no problem check out my perfect pie crust article. It has a video to show you how to make pie dough too. If making the pie dough is something you don’t want to do, pick up ready-made pie crusts at the store in the grocery section. The ones I’ve seen at our local grocery store are dairy free. Hopefully, your store will have some too. Once you have your pie dough rolled out thin, cut it into 12 circles a little bigger than your pie tins. I found my biscuit cutter did a good job, but a glass or lid would also work. Once the pie dough is cut to make it easier to line the muffin tins stretch/work the dough just a bit to make it easier to place in the muffin tins. I use two hands with my thumbs in the middle of the pie dough circle. I slowly turn and pull all the way around the circle to stretch it just a bit and make the dough a little more pliable. Then place the dough into the pie tin and push down the dough into the bottom and press against the sides too. This will help seat the pie dough into the tin. I use my food processor to mix the pie filling. I add all the ingredients and process until mixed well and smooth. 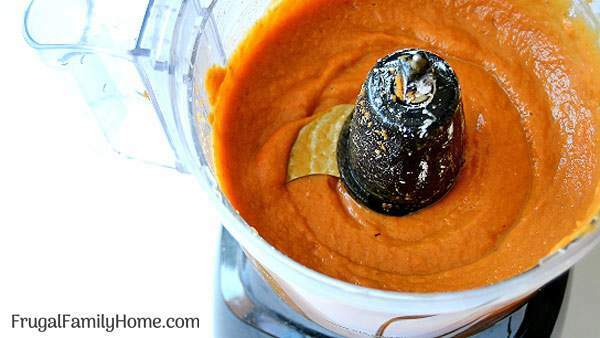 But you don’t have to use a food processor. Add everything to a bowl and mix with a hand mixer or even a spoon. Just be sure to mix well enough to get the cornstarch well incorporated. I used about two generous tablespoons of filling in each of my pie crusts. You want to fill them almost to the top of the crust, it will expand a little but I didn’t have any run over the sides. To bake place the muffin tin on a rack in the middle of a preheated 375-degree oven. Bake for 25 to 35 minutes or until the pumpkin is mostly set and the pie crust is slightly golden. I double check mine once I think they are done and pull a couple out of the tins. If the crust is slightly golden, they are done. Cool in the pan for a few minutes and then move to a rack or cutting board to finish cooling. Roll out the pie dough thin and cut into 12 circles. Place the dough circles into a muffin tin. Press the dough into the bottom and sides. Set aside. In a food processor, add the pumpkin, dairy-free milk, cornstarch, maple syrup, sugar, salt, cinnamon, ginger, allspice, and vanilla to the food processor. Process until the ingredients are well incorporated and smooth. Spoon the pumpkin pie filling into each of the lined muffin cups. Fill almost to the top of the crust. Bake in a 375-degree oven for 25-35 minutes. Until the pumpkin pie filling is set and the crust is slightly golden brown. Let cool in the muffin tin a few minutes then remove and place on a wire rack to finish cooling. How Much Does it Cost to Make a Batch of Mini Pumpkin Pies? I know pies at the local grocery stores can cost almost $5 from the bakery and the frozen pies in the freezer section aren’t much better in price. 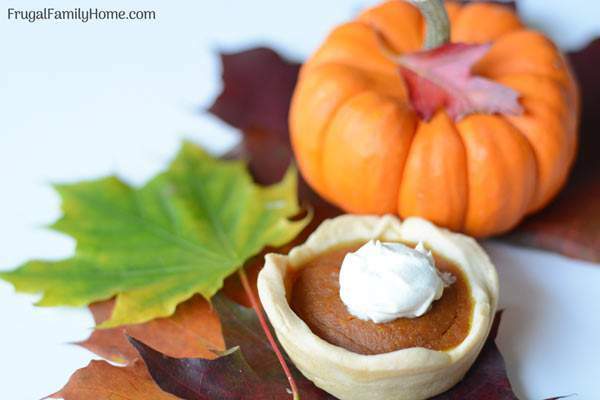 The supplies to make these mini pumpkin pies is just under $2.50 and that includes the pie crust too. Making each of these mini pumpkin pies cost $.20 each. Not too bad at all. 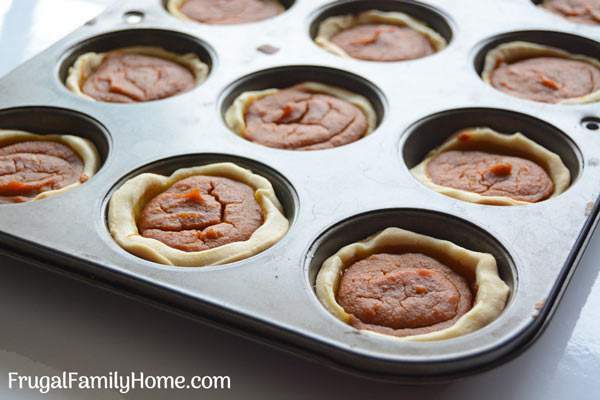 As you can see these mini pumpkin pies are easy to make. 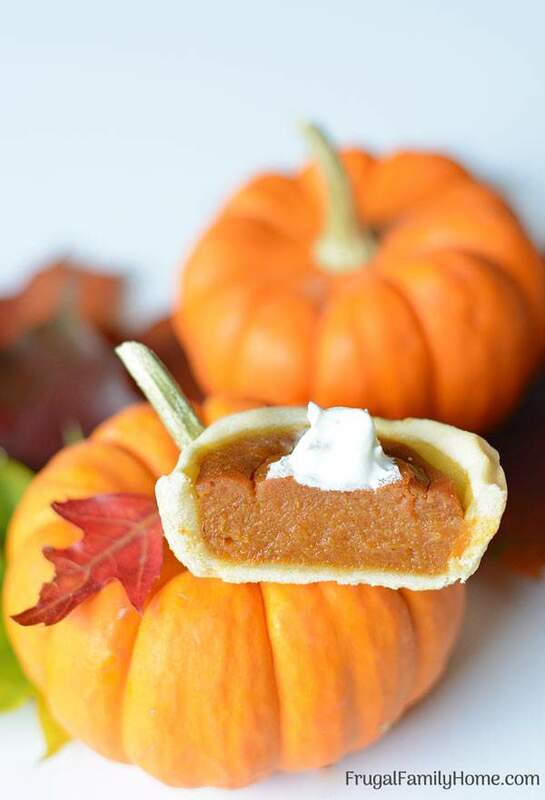 They make the perfect size for an individual pumpkin pie for each one of your guests. And because they are dairy free and egg free they are also allergy friendly too. My family gobbles these up every time I make them. Even my hubby who doesn’t like pumpkin at all loves these. I hope you’ll give them a try for your family too. What’s your favorite kind of pie to make? Pumpkin Pie is my absolute favorite thing about fall! And these mini pies look so cute 🙂 I bet my kids would love to eat them!